I was thinking of calling this post ‘why I’m ditching my blog’ but that wouldn’t be exactly true. And I actually can’t quite believe I’ve been considering ditching a hobby that has seen me through 5 years of my life. I always wondered what gaping hole would be left behind if I ever stopped. The answer is, actually none. I don’t know why, but the blogging industry has shifted dramatically in the last 2 months. I never read blogs anymore. Once a head that was continually bouncing off post ideas, I now have no idea what to write. If I’m not reading other peoples blogs then why should people read mine? The readership has dropped year upon year and I know I’m not alone. I once got 20,000 page views in one month! Attention spans have dropped, the influencer world is continuing to expand and evolve as we speak, no one knows what is next, or if the bubble will ever burst. When I was once inundated with brand collabs and gifting opportunities, they’ve now dried up completely. But I’m actually OK with that. 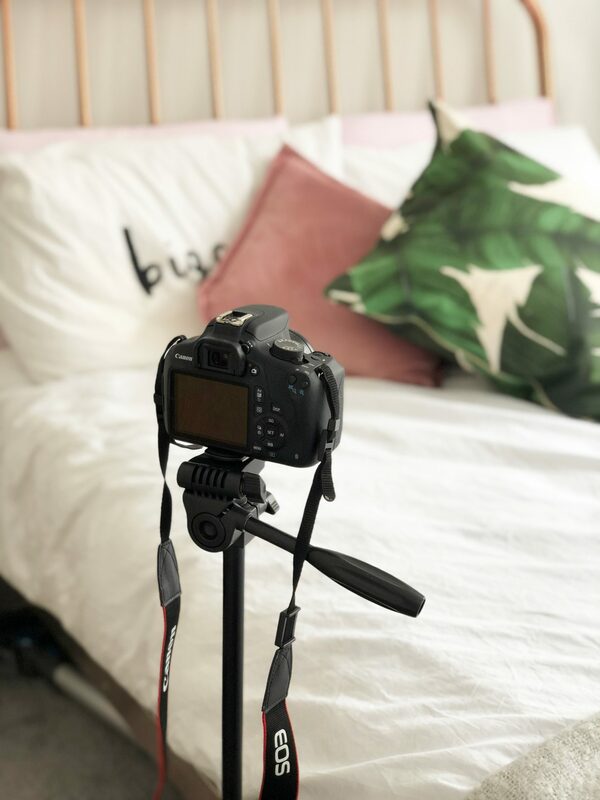 I never blogged for ‘free stuff’, I now have a job that I thoroughly love, and with that I’ve learnt how to have a work/life balance and I actually feel happy, something I haven’t felt in a long time. I’m a different person to the one that used my lunch breaks in a job I hated to hide behind my keyboard. I no longer need to escape from it. I also need to think about what my priorities are. Why should I spend hours writing about a topic that barely gets read or any traction anymore? It’s time wasting of the precious little time I have, and partially why I chose to start writing lifestyle content only a while ago because it was stuff that I enjoyed writing about. I’m certainly not closing my blogging chapter for good. But I certainly won’t be ploughing out blog posts consistently every week anymore. My blog has been an apprenticeship of sorts, I got to go to LFW, it helped me get my first graduate job, I got to do a social media takeover for Boohoo at MTV crashes, I even won a trip to Paris! It’s been one heck of a ride, but the industry is changing now and I feel like it’s time to move on. As you may or may not know I dipped my toe back into the Youtube scene this year with a few VLOGs and I loved it! There’s something I love about getting home after work and watching my favourite youtubers vlogs with my tea. It’s ordinary lives and usually the boring bits I enjoy watching the most from relatable people. Relatable people that are becoming harder to find on Instagram, and anywhere for that matter. Going forwards I’m going to be putting my all into youtube for the next few months. Something I NEVER thought I would do. I’d like to think I’ll start with at least one video a week, but committing is sometimes the first sign of failure. I’m not putting any pressure on myself as it’s just a bit of fun, and filling the gap that blogging has left behind. Let’s see how it goes, see you on the other side!